 This blend is carefully selected to accompany red or white meats.  Food pairings: Sprinkle over meat or poultry before grilling, roasting, or use as a seasoning for pan sauces. 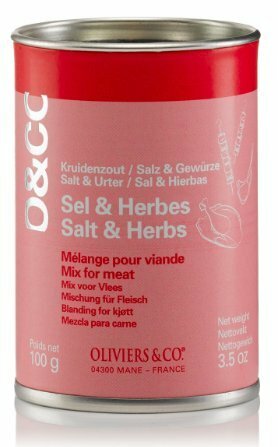  Ingredients: Dried sea salt, red pepper, cumin seeds, aniseeds, pink berries, mustard seeds, parsley, basil leaves, black pepper. If you have any questions about this product by Oliviers & Co, contact us by completing and submitting the form below. If you are looking for a specif part number, please include it with your message.